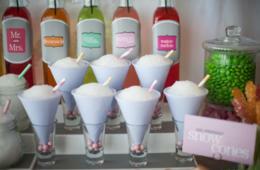 Mobile Snowball Party from Xtreme Snow - Includes 100 Snowballs! 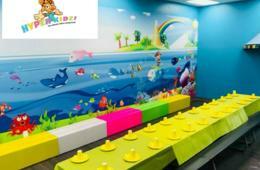 Looking for a super bouncy, silly and overall FUN-tastic place to host your child's birthday? 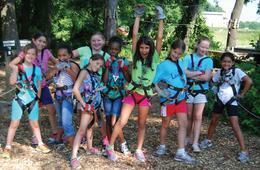 Monkey on over to Monkey Joe's Germantown! Monkey Joe's parties are full of bouncing, sliding, and jumping FUN for kids 12 years old and younger. 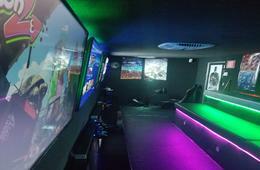 With their wall-to-wall inflatables, a variety of arcade games and a dedicated party room, you can sit back, relax and enjoy the party while they do all the set-up and clean-up. Monkey Joe's Island Excursion Party Package covers all your party needs, including courtesy set-up and clean-up, invitations for your guests, a dedicated Monkey Joe’s party host, drinks, paper plates, cups, tablecloth, utensils and, most importantly - unlimited amounts of FUN! See below for all of the details! 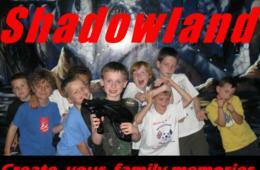 Looking for a fun-filled place to spend the day? 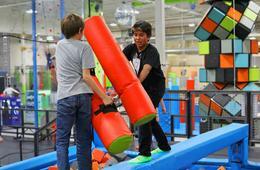 Monkey Joe's of Germantown is offering CertifiKID subscribers a great deal on admission, too! Click HERE for all of the details! 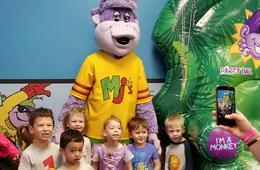 The Deal: $165 for Two Hour Island Excursion Party Package for up to 8 Kids at Monkey Joe's Germantown VALID MONDAY - THURSDAY ONLY ($329 Value - 50% Off). Party Suite for 2 hours. Admission for up to 8 children. Unlimited fountain drinks for the children. Monkey Joe's themed plates, napkins and cups. Dedicated party host who does set up and clean up. Special Visit from Monkey Joe. Slice of pizza per child. 10 game tokens per child. 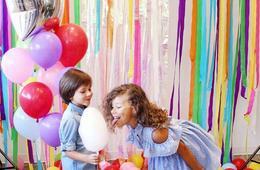 Parties are for ages 12 and under. Valid ONLY at the Monkey Joe's Germantown location. Valid for Monday - Thursday parties ONLY, scheduled through February 28, 2018. Reservations recommended 2 weeks in advance; subject to availability. Party packages, not valid Fri-Sun. or on holidays. 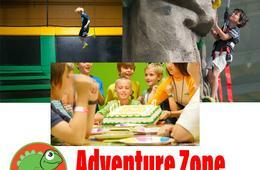 Additional guests are $12/each, payable directly to Monkey Joe's Germantown. Additional birthday child can also be added for $12. Adults are not counted as guests. With the exception of cake or cupcakes, no outside food or drink permitted. Additional pizza, goodie bags and ice cream can be ordered directly thru Monkey Joe's - payable to Monkey Joe's at the time of the party. Make sure to tell your guests to wear socks! All parties must be booked by February 15, 2018 and take place by February 28, 2018. Not valid with any other discounts, coupons, promotions, specials or daily deals. 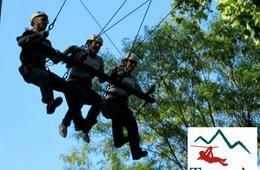 All participants under the age of 18 must have a liability waiver completed and signed by a parent or guardian. Expiration reflects date by which party must be held. To Redeem: Reservations required and subject to availability. To reserve your party, please call Monkey Joe's Germantown at 301-238-5230 and provide your 12-digit CertifiKID Voucher Code. Please DO NOT make your reservation online. Questions? Need More Information? Please contact Monkey Joe's Germantown at 301-238-5230. Valid only at Monkey Joe's Germantown location. Multiple vouchers may be purchased and redeemed. Cannot be combined with any other special offers, promotions or discounts. Not valid on prior purchases or reservations. Additional service charges may apply. Vendor is responsible for the quality of the products or services provided at redemption. Operating hours are subject to change; check directly with vendor prior to visit. Merchant cancellation policy applies. $20 Off Dinner for Four From Galley - Your Locally Prepared Meal Delivery Service!